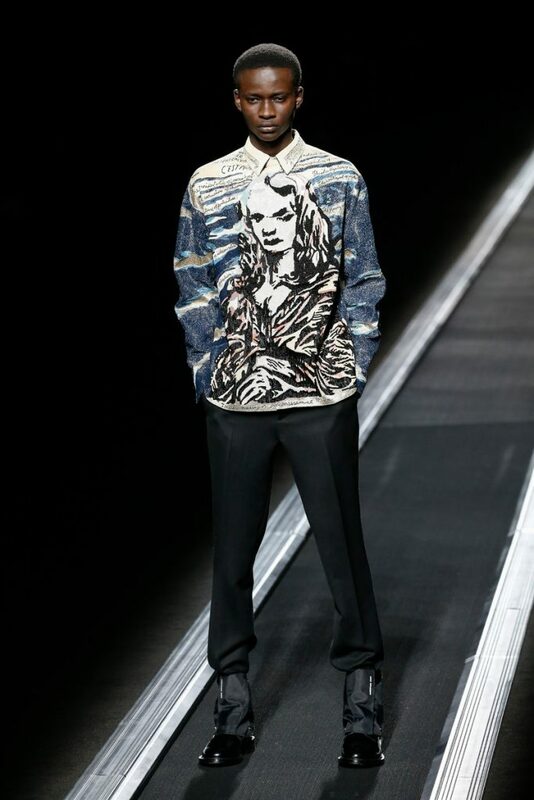 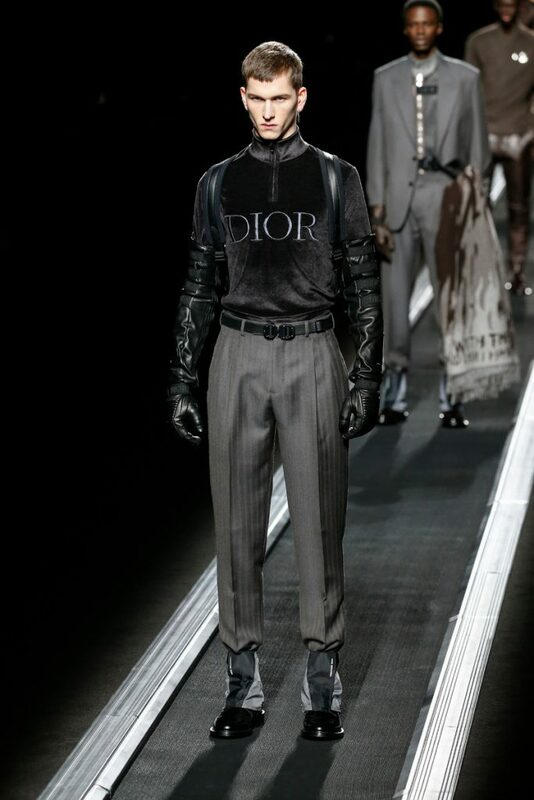 Today’s Dior show can be seen as the ultimate style between sportswear and tailoring. 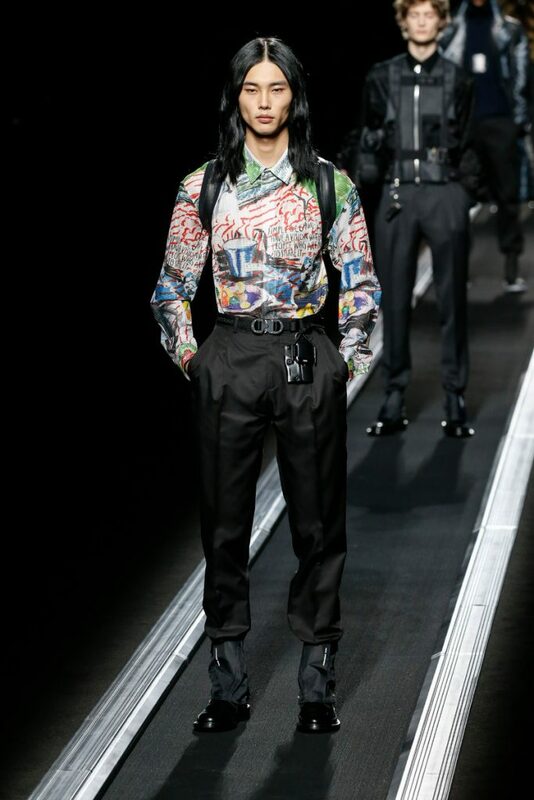 Yes, the 49 models looked perfectly dressed, but they still had enough streetcred too. 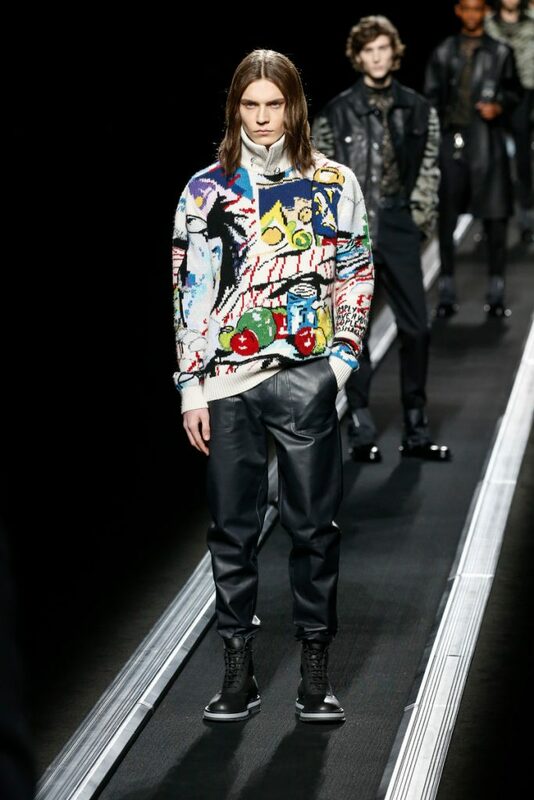 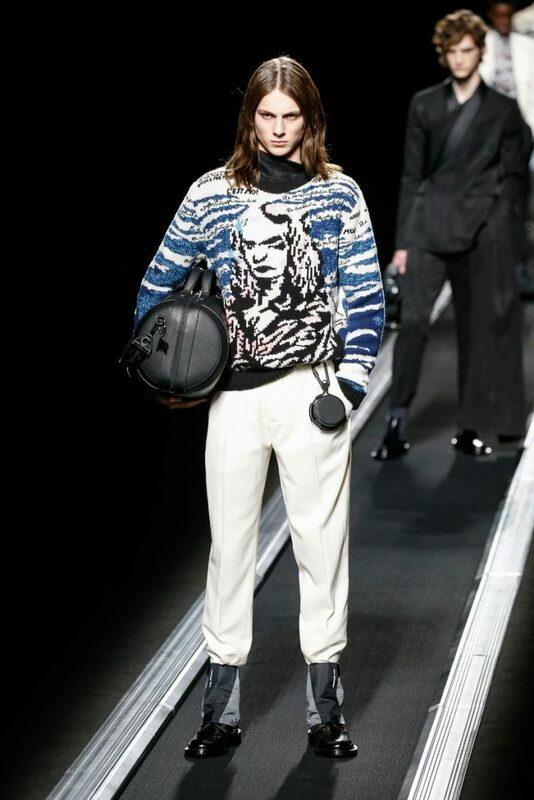 They sported their pleated pants with logo printed sweaters. 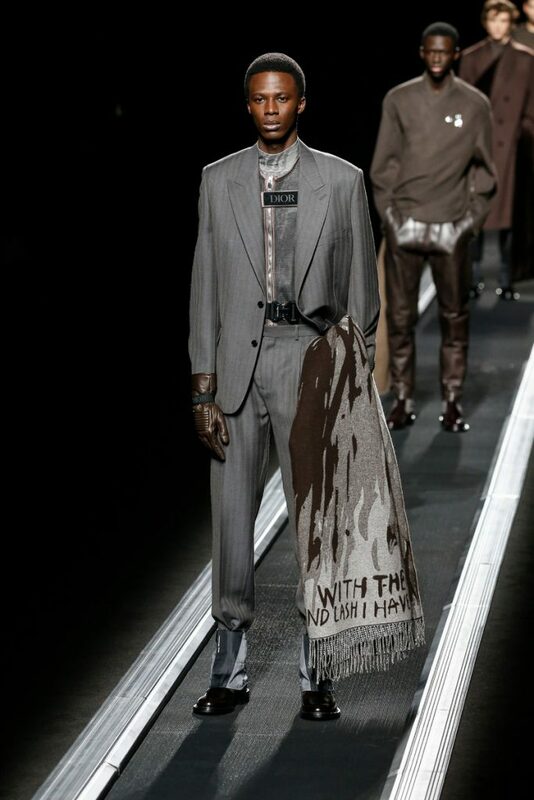 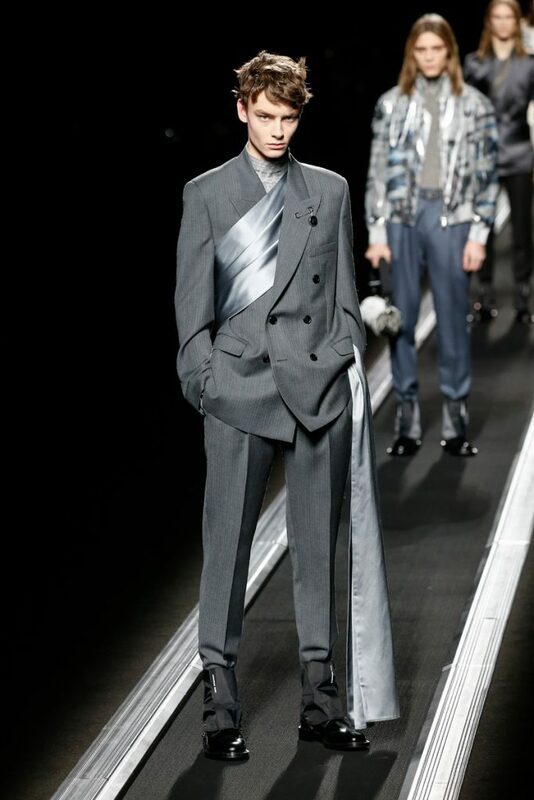 Suits had stoles/scarves attached to them, which were wrapped around the models bodies (inspired, Kim Jones said, by a 1955 dress from the Dior archive). 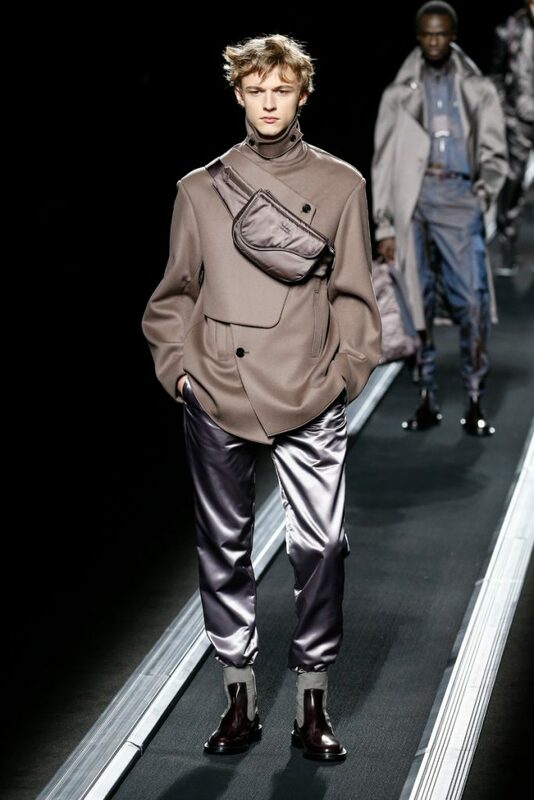 Classic pants were paired with structured utilitarian tops in the same color palette. 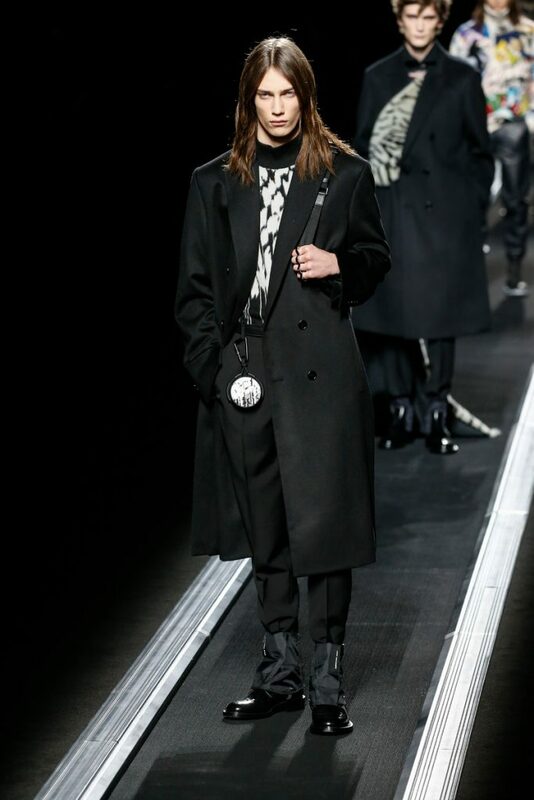 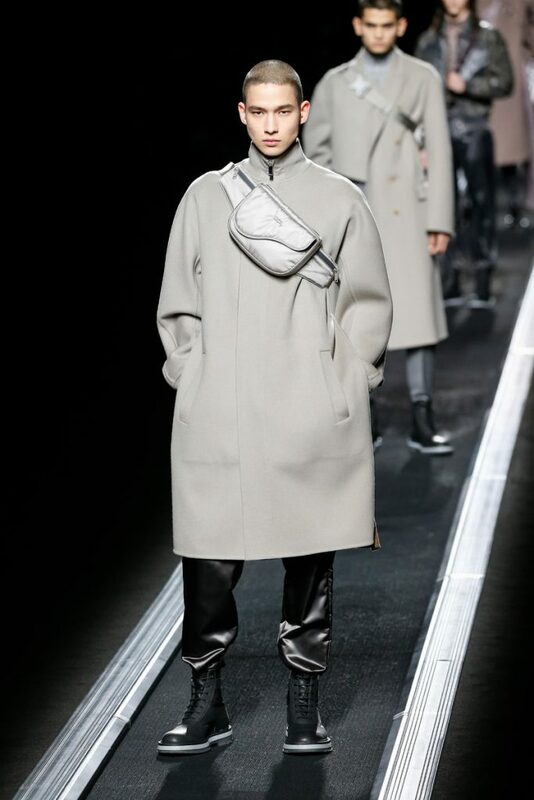 Cross body bags and sporty boots added to the urban/youthful feel of the collection. 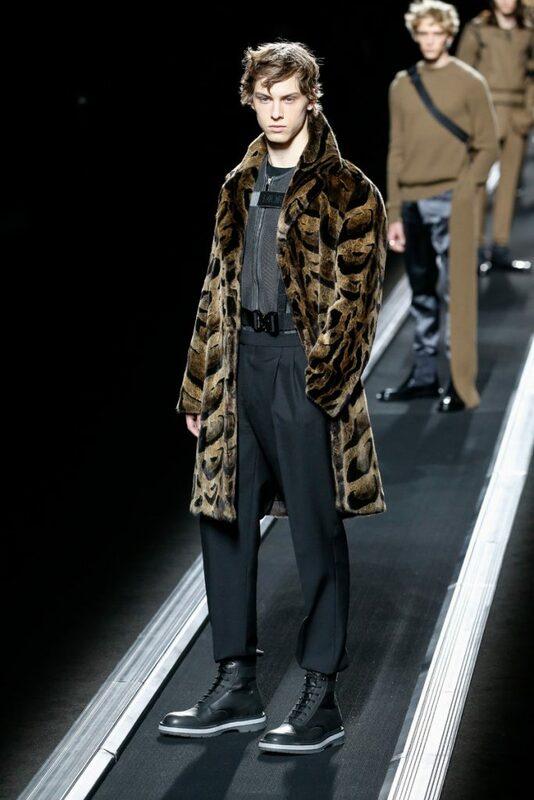 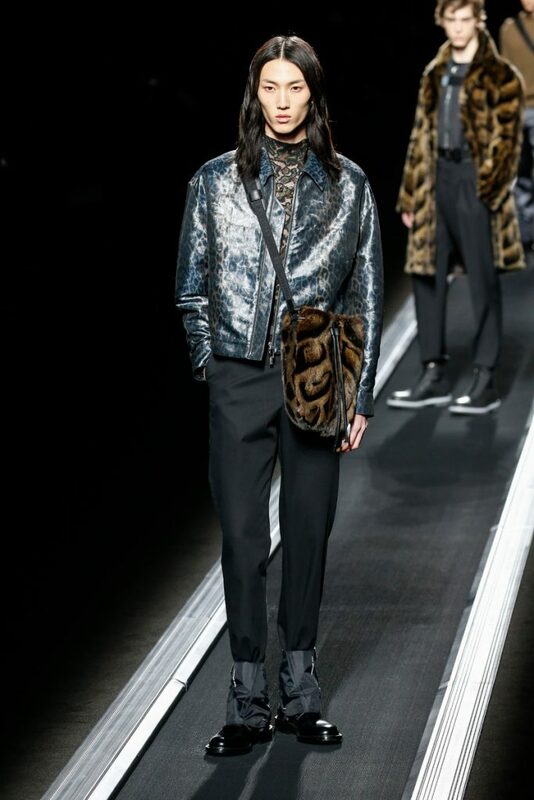 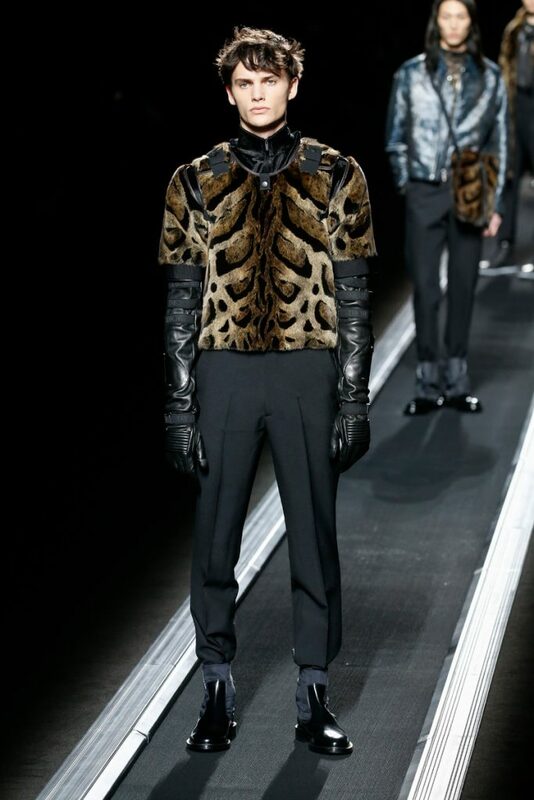 Leopard print details and fur pieces seemed a bit of a distraction, but the collection’s true message came across cleary. 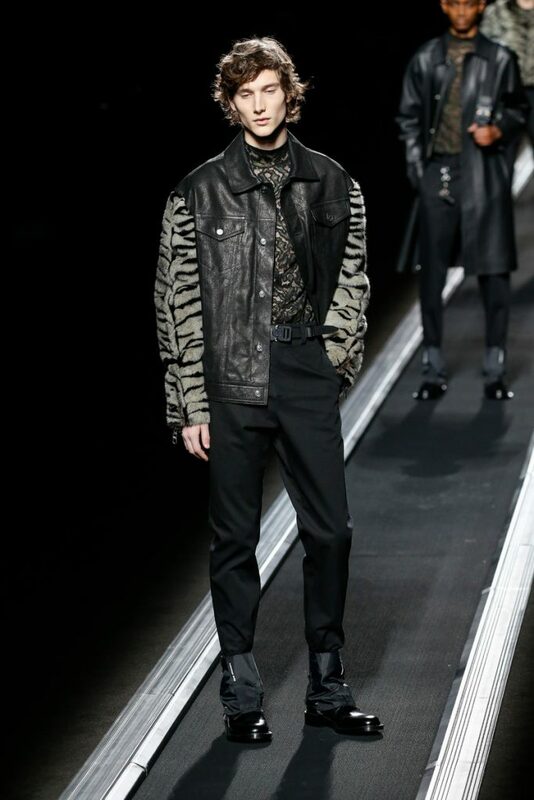 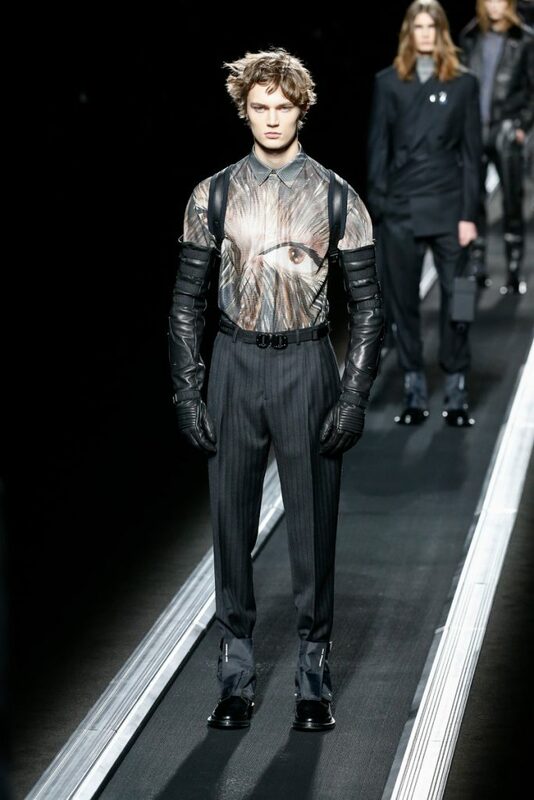 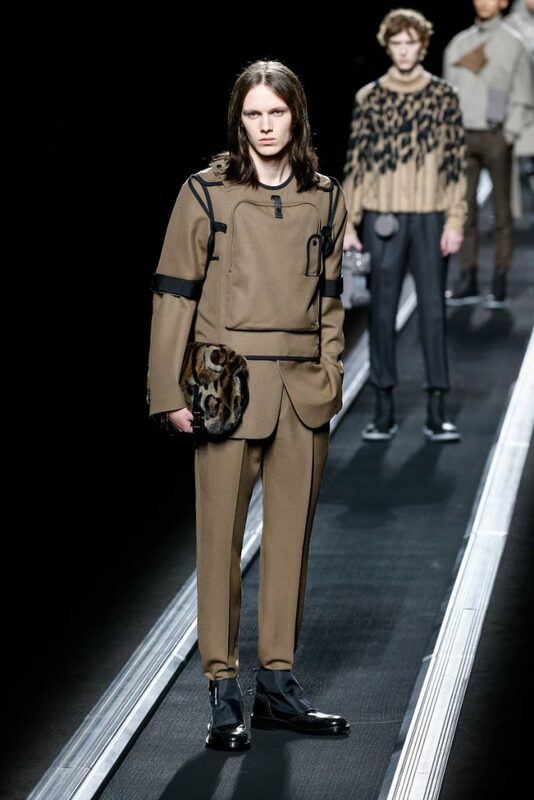 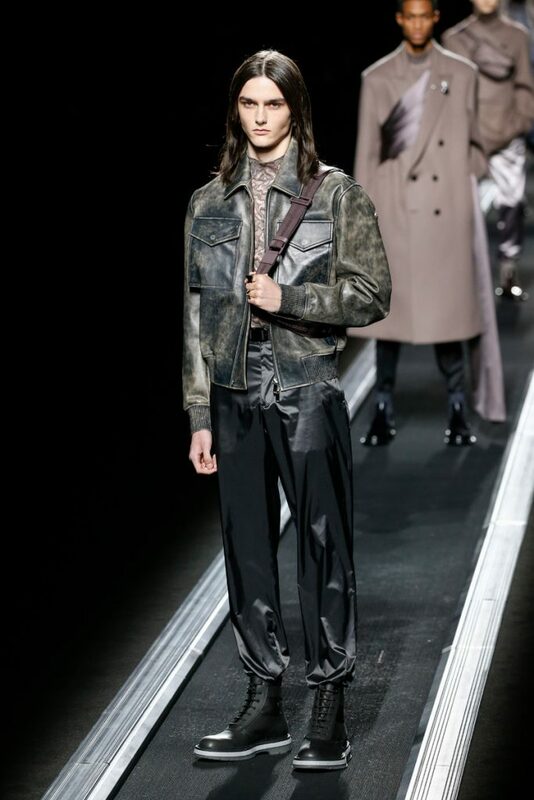 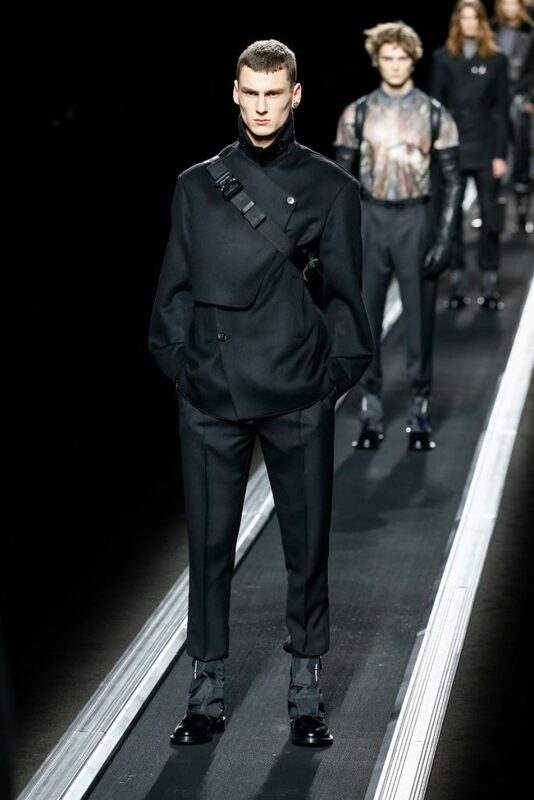 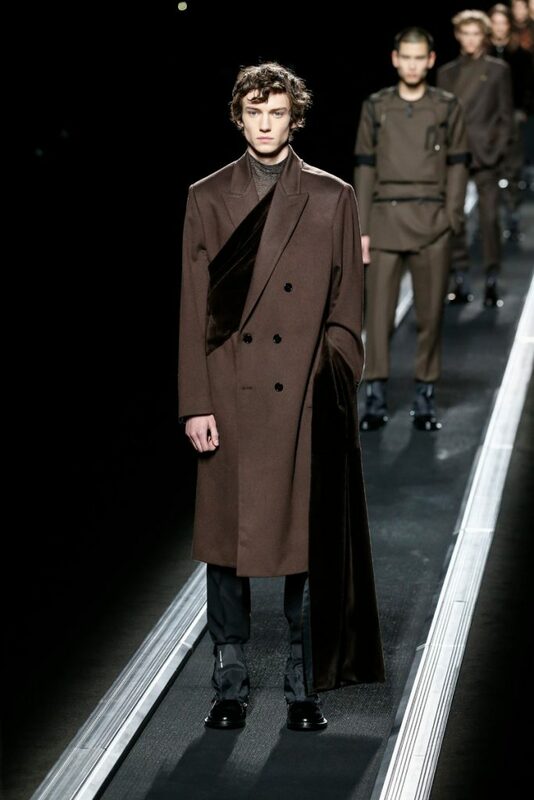 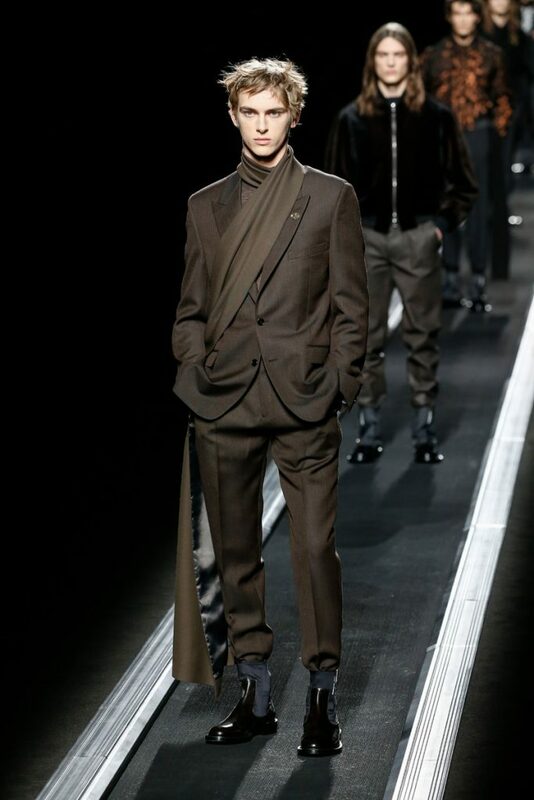 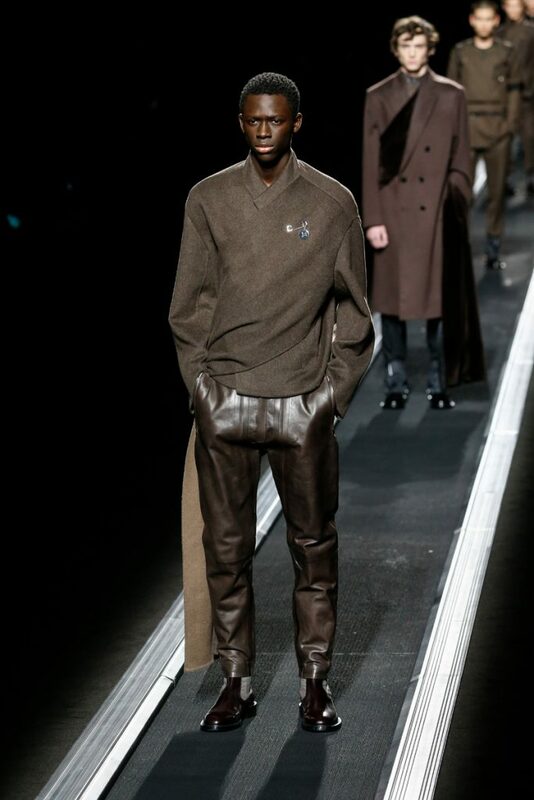 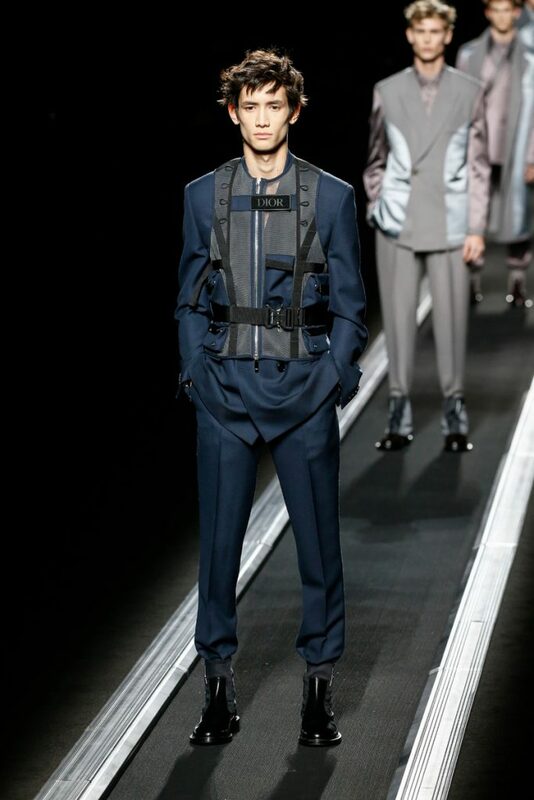 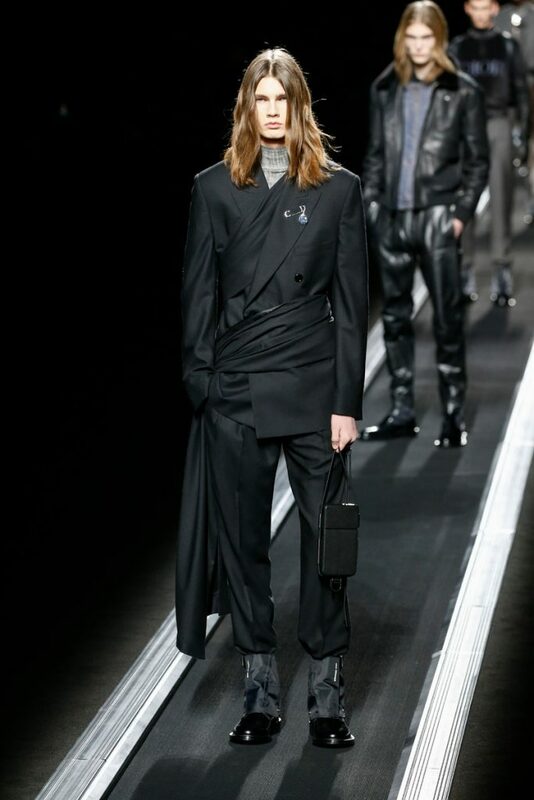 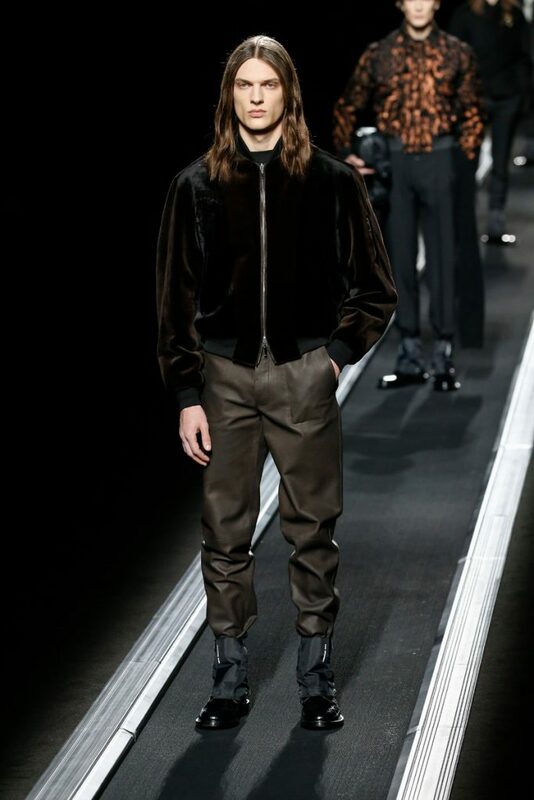 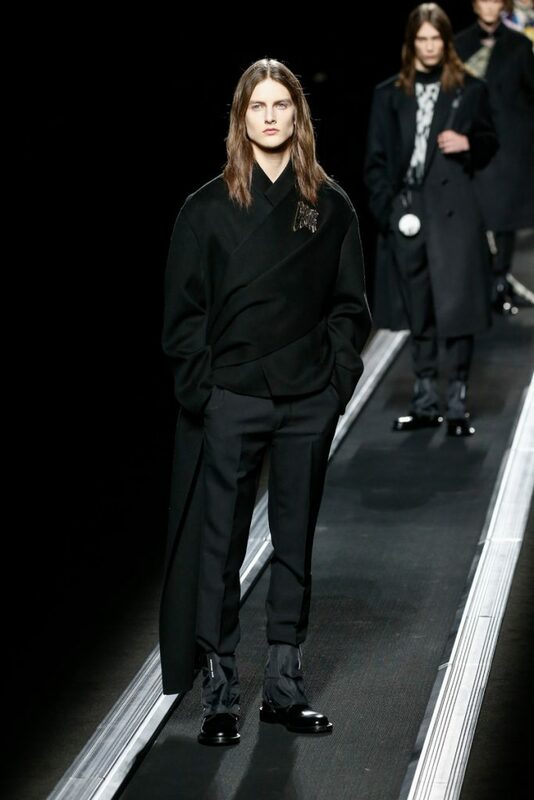 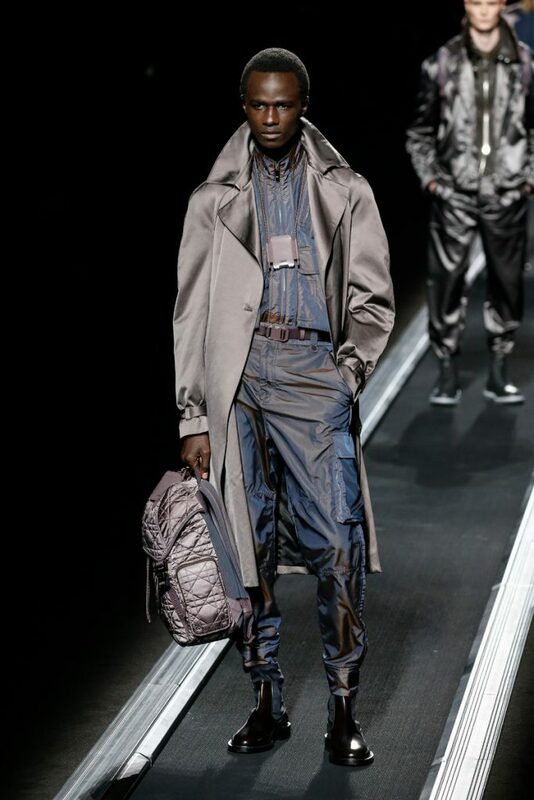 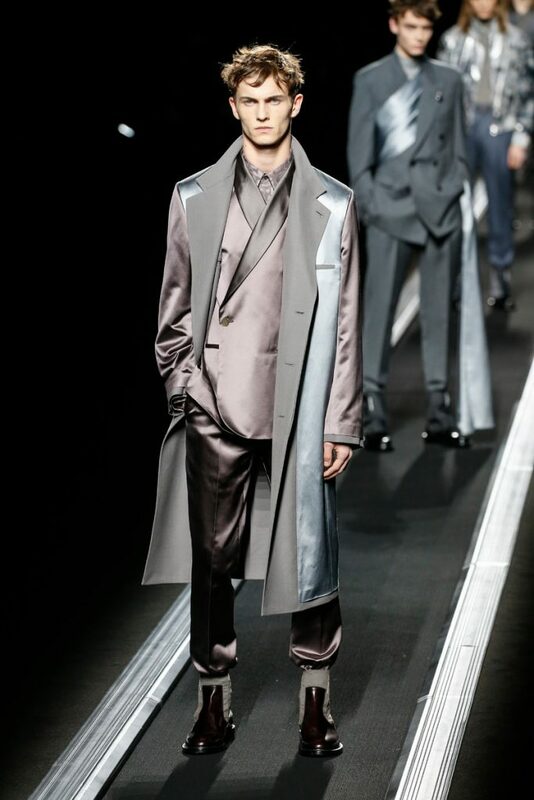 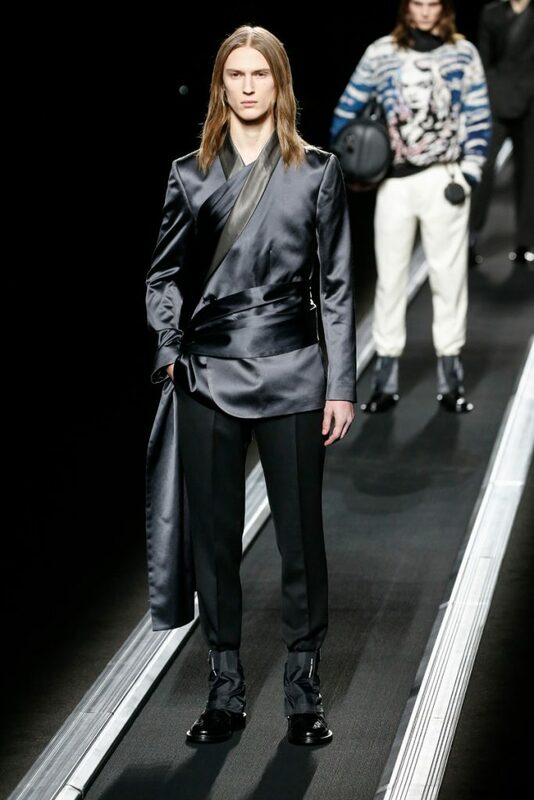 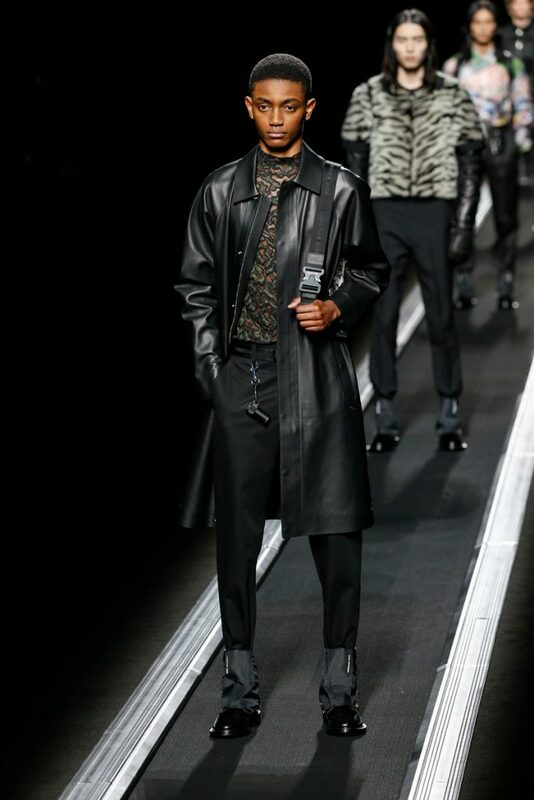 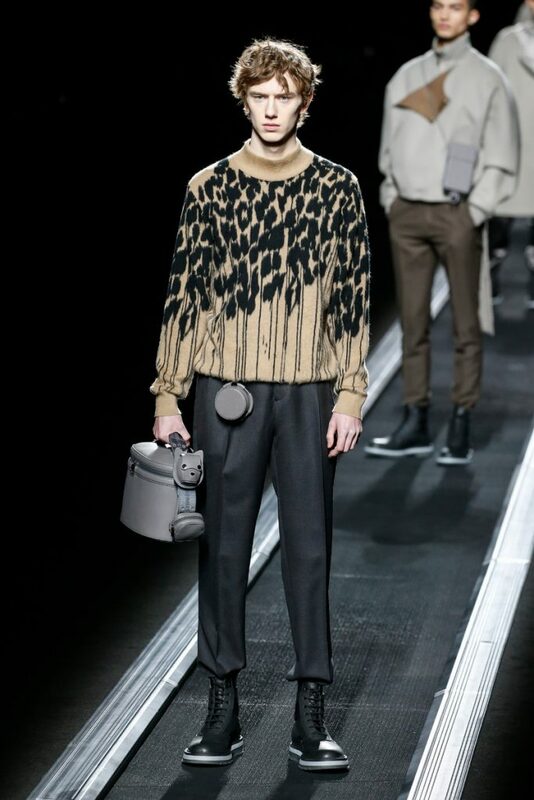 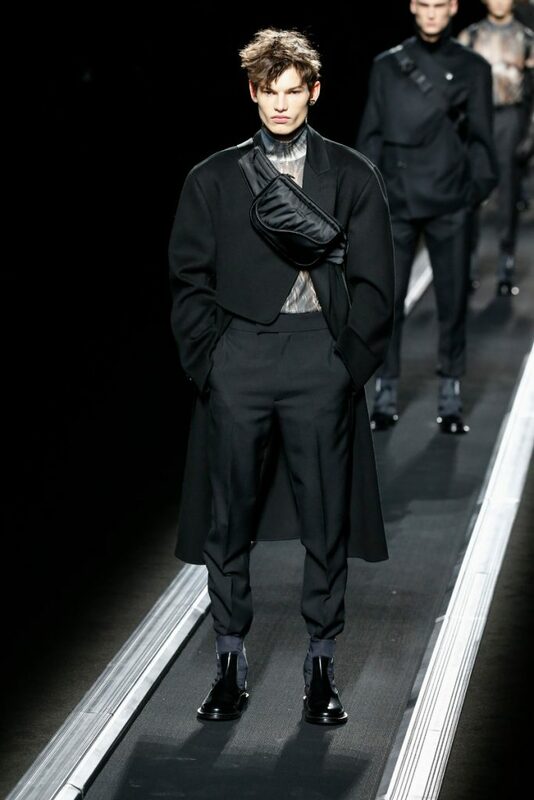 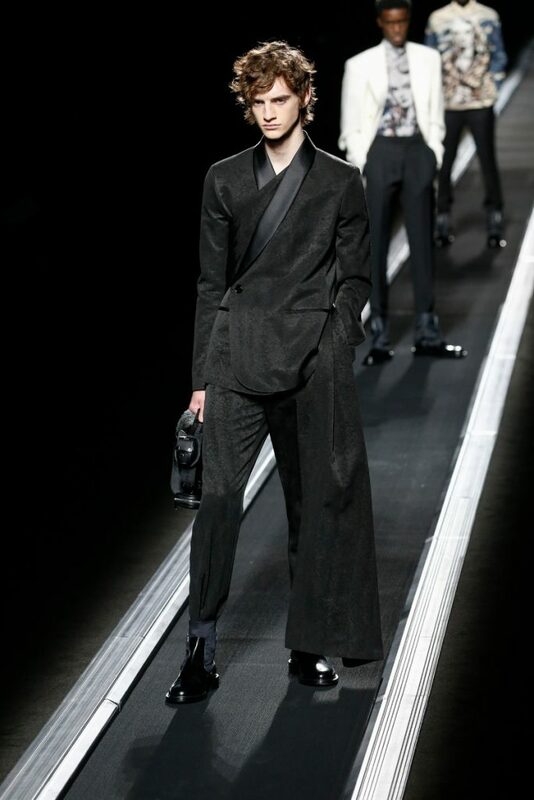 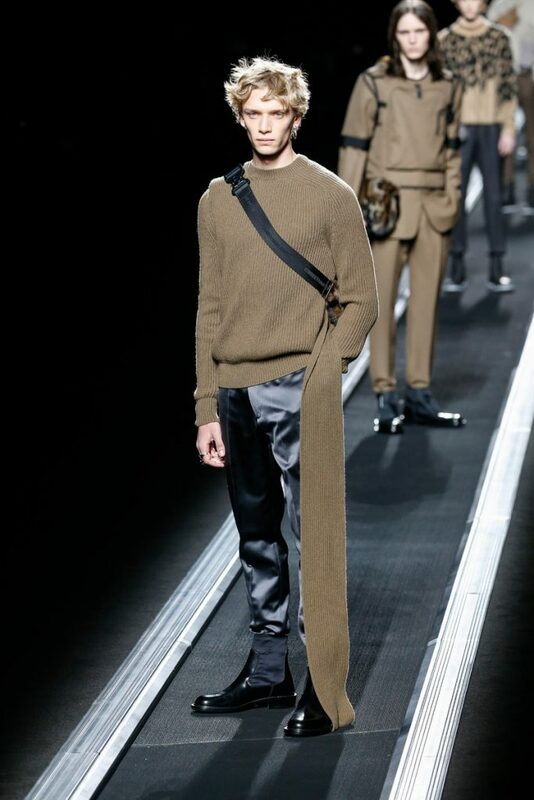 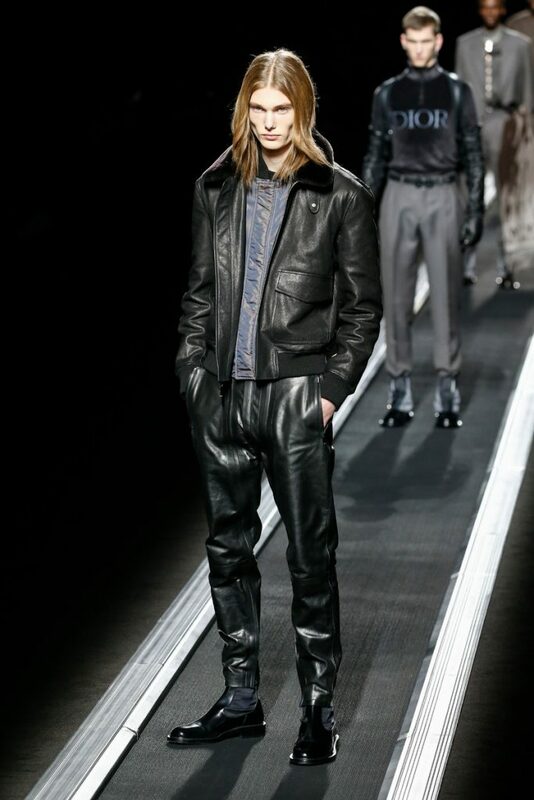 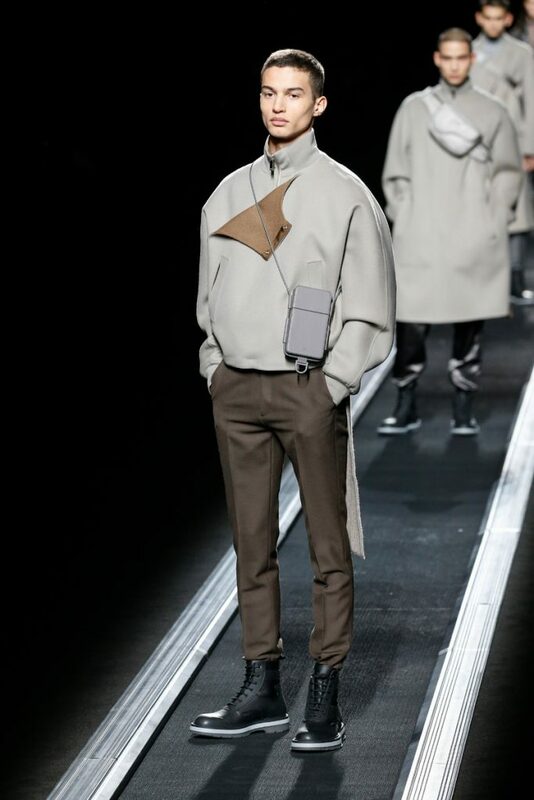 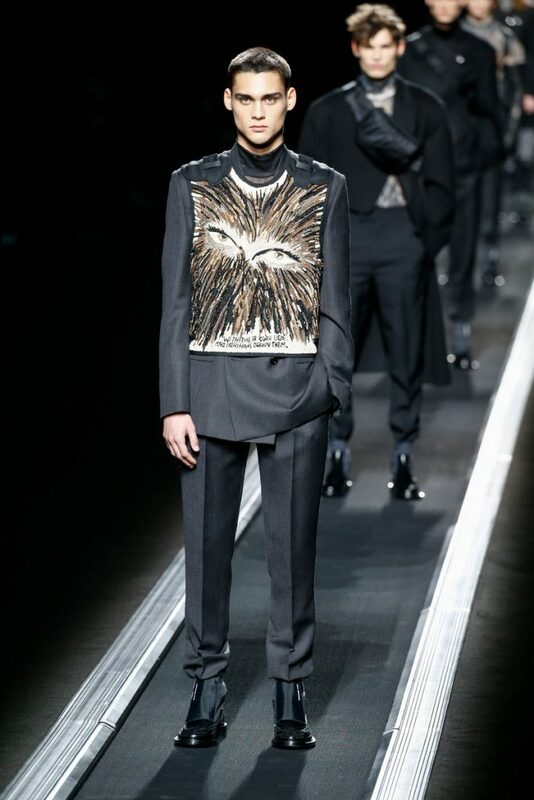 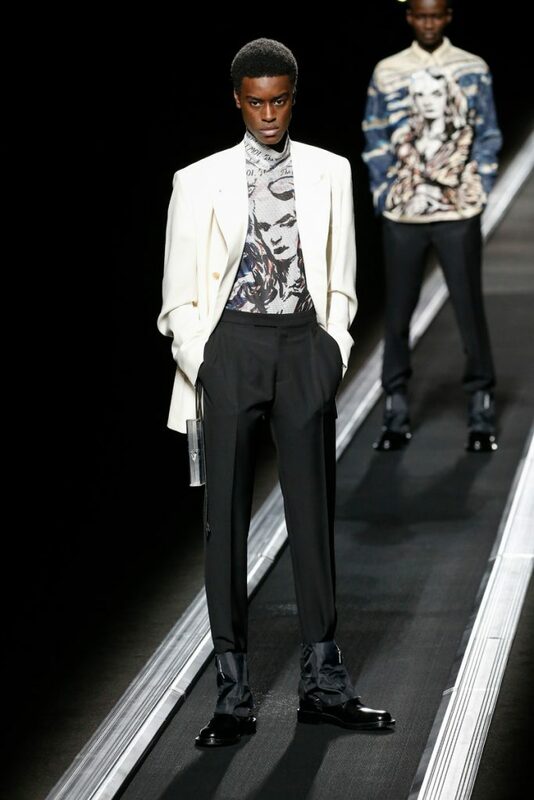 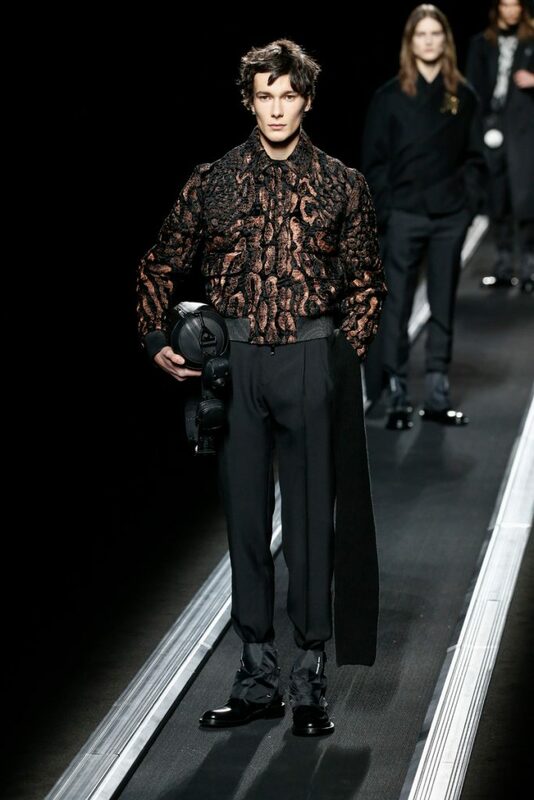 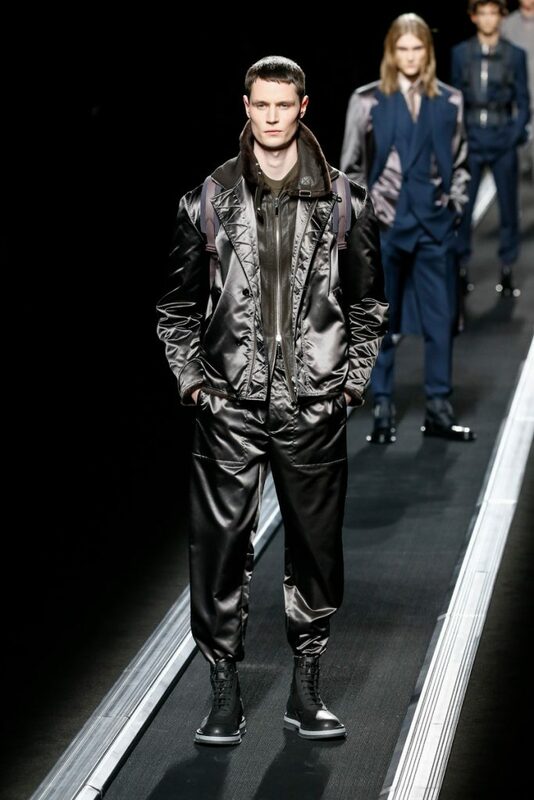 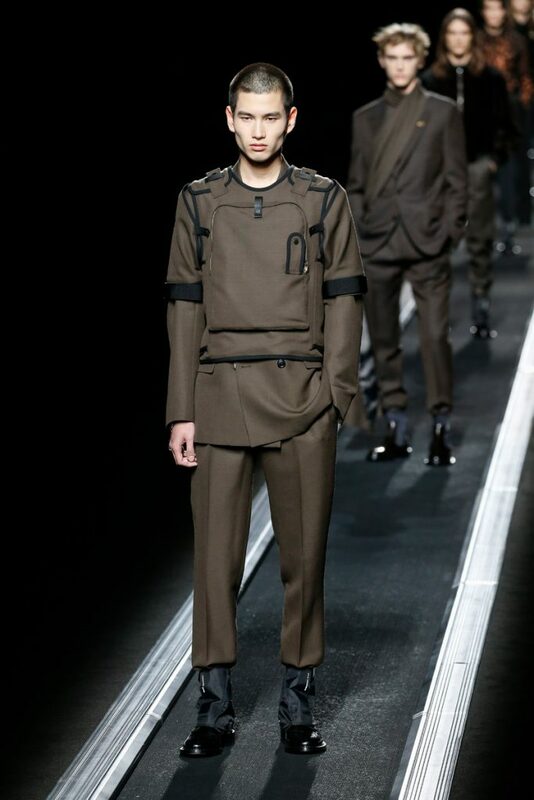 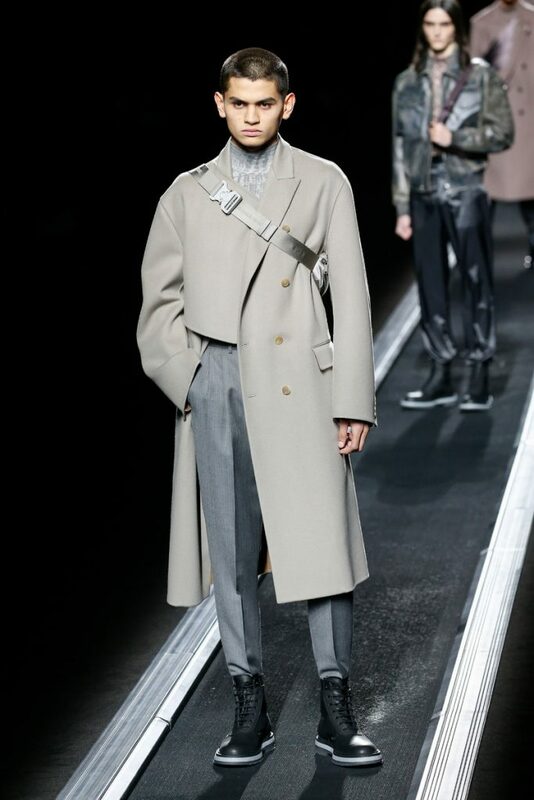 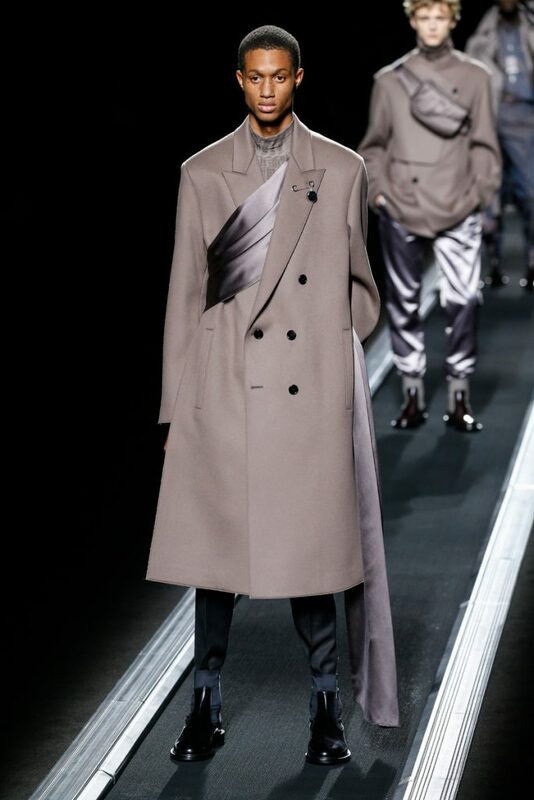 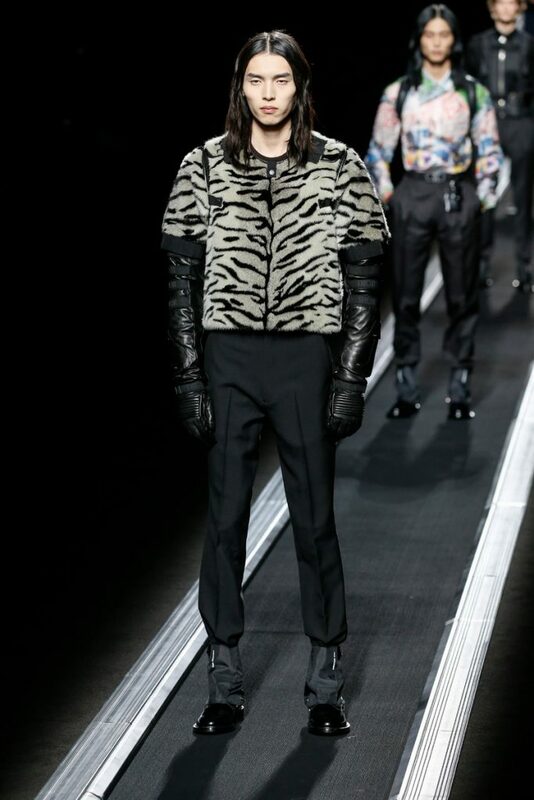 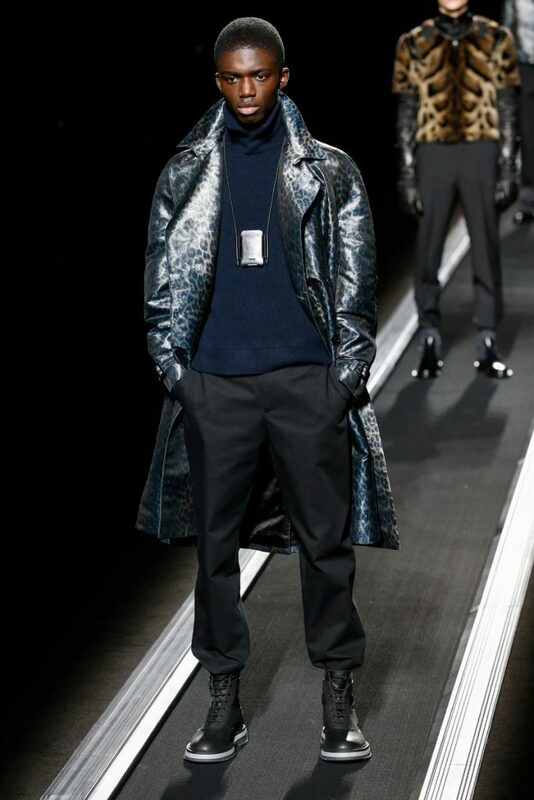 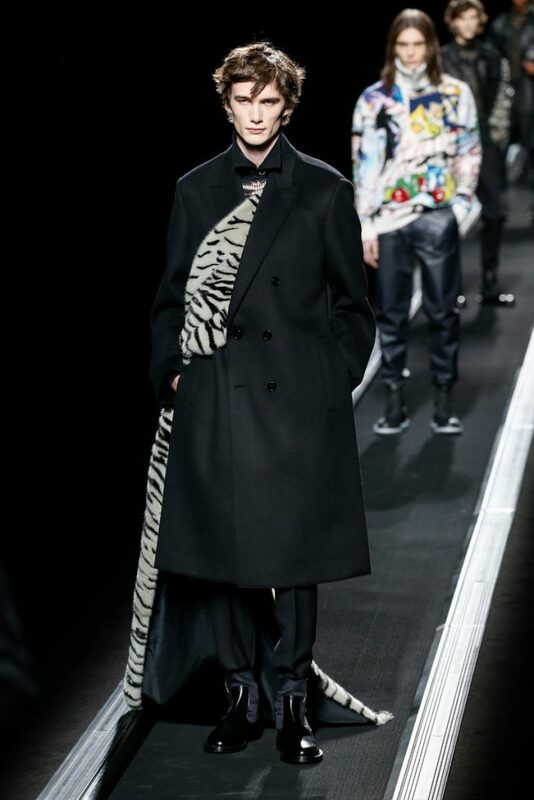 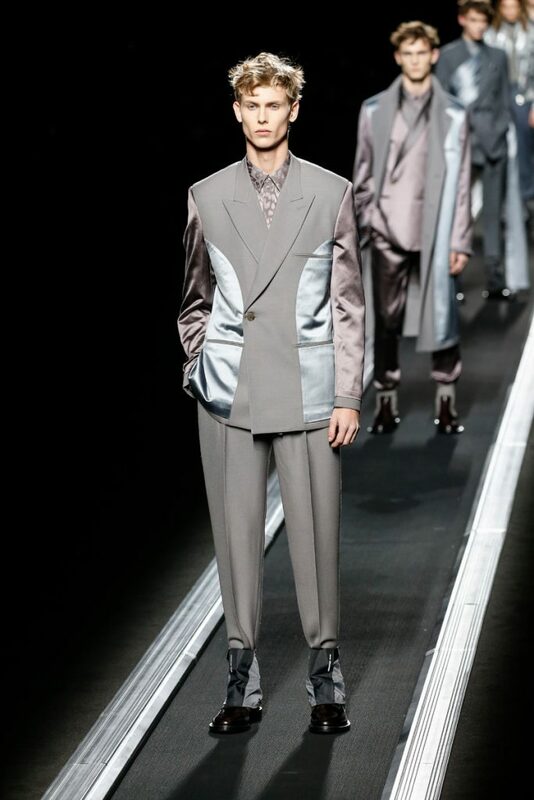 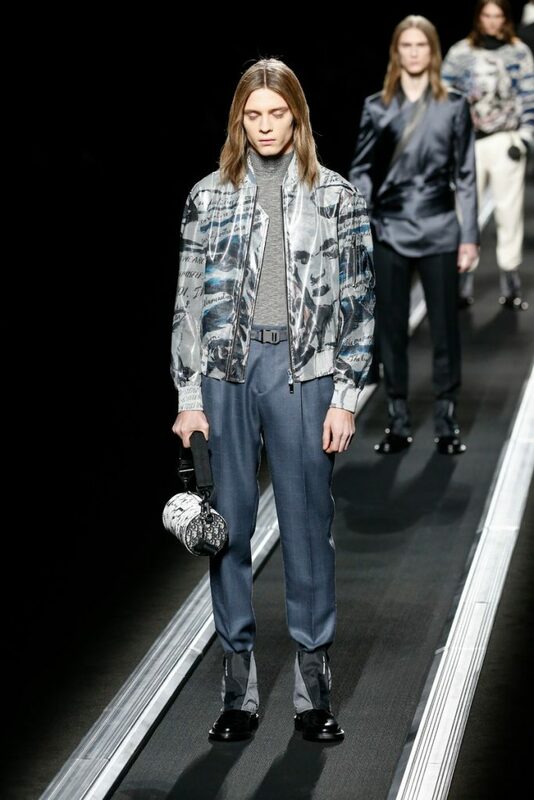 Kim Jones has introduced the new way of dressing for men for the upcoming seasons. 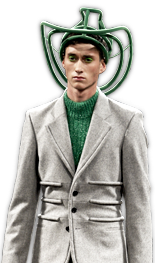 Not just sportswear, not just suits, but a perfect fresh menswear style approach in between.